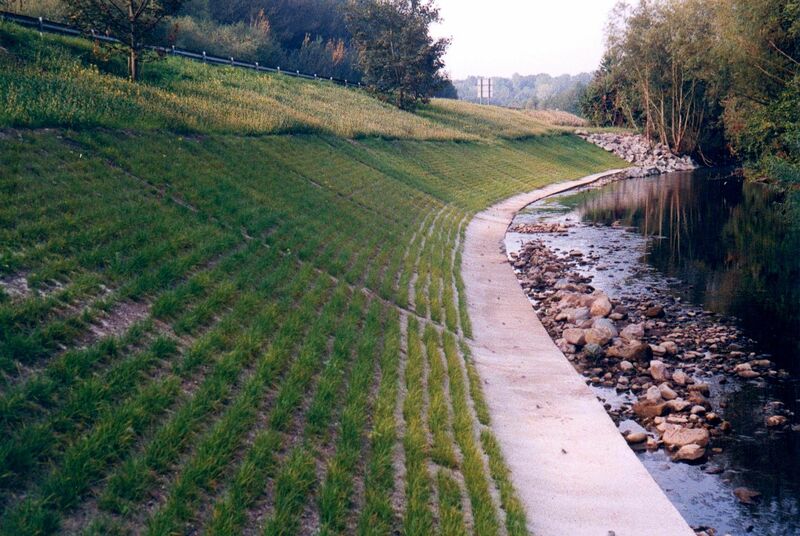 Did you know that Grasscrete can be installed on a slope adequate for slope protection or river embankments? Being structural and continuously reinforced, it allows for vehicle access to the water or over the system without issues such as rutting that would cause bank destabilization with other products. 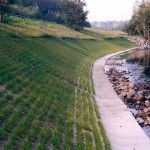 Grasscrete can be installed on a slope to control erosion while protecting and vegetating banks for both a functional and visually appealing option. Capable of installing at a slope of 1:2 (50%), Grasscrete has been flow tested to rates in excess of 26 feet per second. This enables it to be used in exacting locations such as emergency spillways. The same testing process has also shown that when used in water flow Grasscrete is hydraulically efficient. 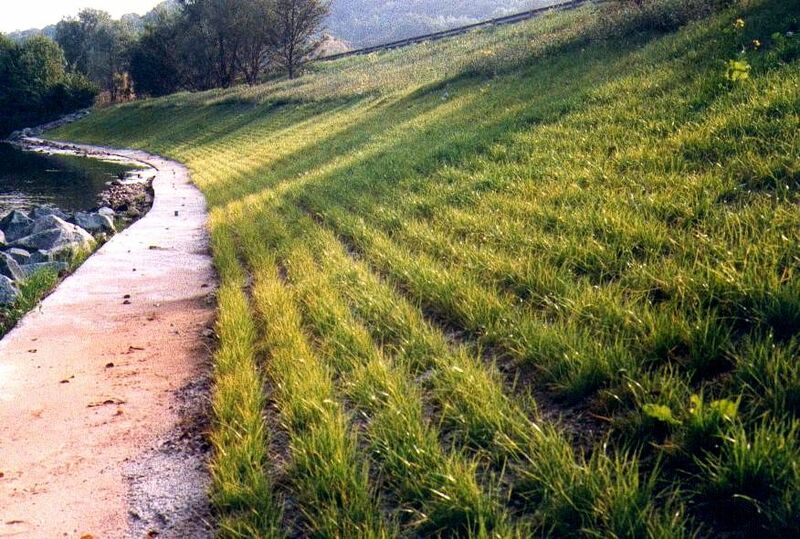 Under heavy flow, long stemmed grass is flattened with the resulting thatch reducing the Mannings ‘n’ value for hydraulic roughness to as low as 0.03. Pre-cast concrete systems require infill panels to create directional changes. 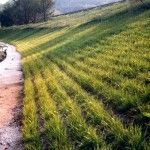 These spaces can cause turbulent flow that become a focal point for erosion, Grasscrete by contrast is a continuous slab with no such weakness.